I always get excited when I hear that the bride and groom have chosen The Heritage Golf Club for their wedding reception location. The staff there is great, the catering manager Jody is wonderful to work with and lets the bride and groom have their own golf cart to take a few portraits on the course. When the golfers pass they always say,"congratulations!" to the couple. Ashley and Tony are a great couple. They are so easy to work with and everything went so smoothly. They also love to play tennis. They love it so much so we found a court near the ceremony location in Powell and had some fun photos taken there. We started our day at the B Rose Beauty Bar in Powell, Ohio for Ashley and the bridesmaids hair. We then traveled to the Saint Joan of Arc Catholic Church in Powell for the ceremony. There was a carnival set up in the lawn of the church for that evening. Both Ashley and Tony wanted some fun photos taken by it. I tried my best to find some shade and have it as a backdrop. The photos turned out great. 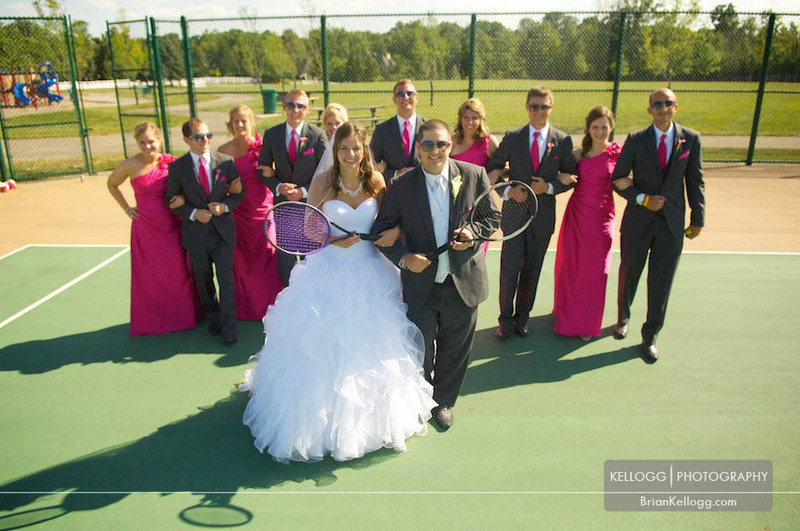 After the ceremony we traveled to the tennis courts in Powell to have out photo shoot. 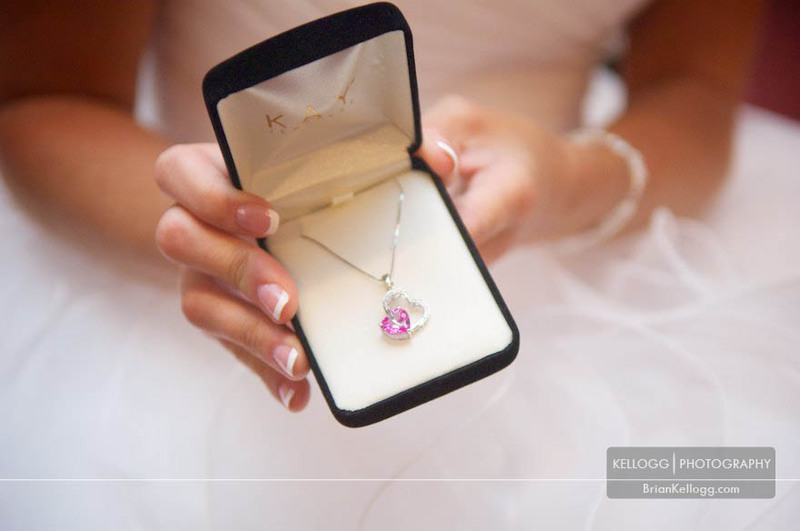 We then went to Heritage Golf Club for the reception and wedding party photographs. We ended the night with a nice sunset on the balcony next to the ballroom. Congratulations Ashley and Tony!